Here to Make Friends: This one is hosted by HuffPost’s Emma Gray and Claire Fallon. I just got into this one this season and like it for the same reasons as Bachelor Party: the hosts are around my age, they’re funny and it’s like you’re talking to a couple of friends about the episode. And much like Juliet, they’re well-connected in both the Bachelor and entertainment worlds, with guests ranging from Entertainment Weekly TV critic Kristen Baldwin, to actress and Bachelor super-fan Allison Williams. In the January 10 episode, Kristen shares what it was like to be on-site at the premiere during filming. 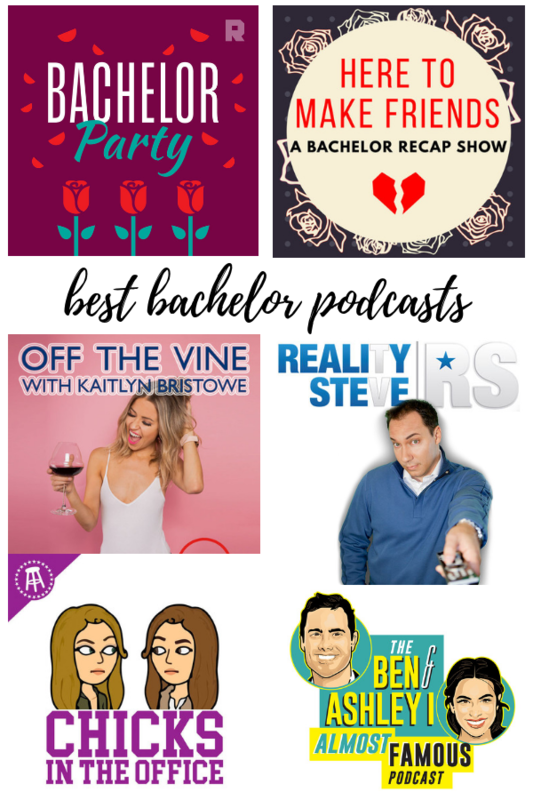 Off the Vine with Kaitlyn Bristowe: Kaitlyn is one of my all-time favorite people to come out of the Bachelor world, so naturally I love listening to her podcast. 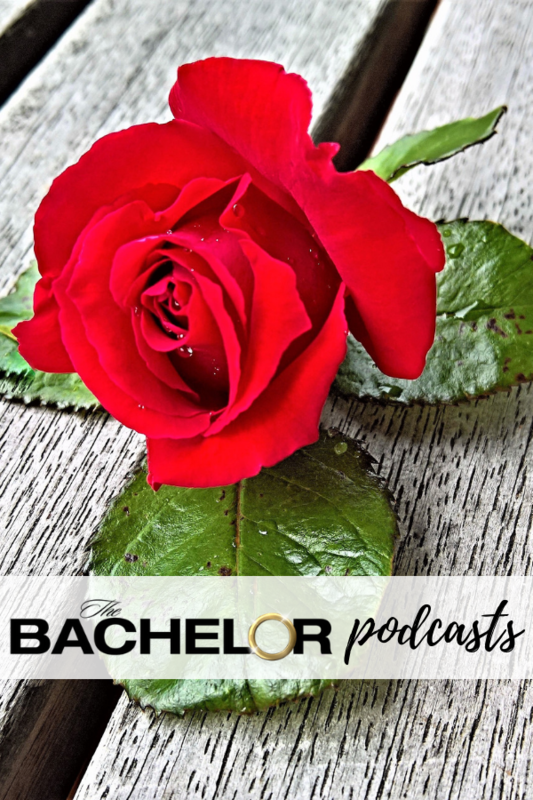 This isn’t an episode-by-episode recap podcast, but she does talk about the Bachelor when it’s airing and has guests from within the franchise here and there. She comes across exactly how she does in her Instagram Stories – real and relatable – and with just enough celeb status that I want to follow her life (like the fact that she’s now dating Jason Tartick!). She’s really diversified the types of guests she brings on, with recent guests aside from Bachelor peeps including everyone from Vienna Pharaon of @mindfulmft, to country music stars Kane Brown and also Maddie and Tae. Ben & Ashley I Almost Famous: Former Bachelor Ben Higgins and popular Bachelor and Bachelor in Paradise contestant Ashley Iaconetti also have their own podcast – and this one does fully recap episodes while it’s airing and has lots of guests from the show on. The latest episode had Colton, the Bachelor, on himself. They’ll also answer reader questions, oftentimes with whoever they have in the studio as their guest of the episode. Ashley has created a career for herself as a reporter for Access Hollywood and also contributing to Cosmopolitan.com, and I think the fact that she knows how to interview is what makes me enjoy listening to her. Chicks in the Office: Barstool’s Ria and Fran talk about all things pop culture in their weekly episodes, but while the Bachelor is on, they devote a section (and sometimes full episodes) to recaps. They’re younger than the hosts of Bachelor Party and Here to Make Friends, so I like to listen to their perspective as well. I listen to their podcast regardless of if they’re covering the Bachelor and one of the things I like about it is they give you a breakdown of what they’re going to talk about with time stamps in the notes, so you can easily fast forward if you aren’t into a topic. They also have celeb guest interviews and answer fan questions here and there. Reality Steve: I’ll admit that I expected Steve Carbone to be kind of a jerk based on his blog, but IRL he seems to be a guy who just gets to the facts and doesn’t care who calls him out for it. I think this podcast is good for him and he does a good job of sharing what he knows and recapping everything going on in the Bachelor world before it airs. Just don’t listen to his podcast or read his blog if you don’t want spoilers – he spills it all. On the podcast, he usually brings back people from old seasons to give a behind-the-scenes look at either their season or recent Bachelor scoop. He’s also into The Challenge and will cover that show when there’s something with talking about.